Our services include corporate events, school assembly programs, college events, university programs, promotional events, private parties and much more. You can also call us directly at 201-357-2979 for more information. Our interactive team building activities are a great enhancement to any corporate meeting, conference and/or social function. The game shows we offer are some of the best motivating exercises to boost employee morale that eventually build stronger relationships. It’s imperative for managers to create a healthy work environment while reinforcing company policies and procedures in a more creative way. Good news for you, we have the solution. Let’s Play! College students love our interactive game shows, and, so far, our Family Feud style show gets the most votes. It’s PlayTyme can be hired for Welcome Week, Homecoming, Greek Week and alumni events. 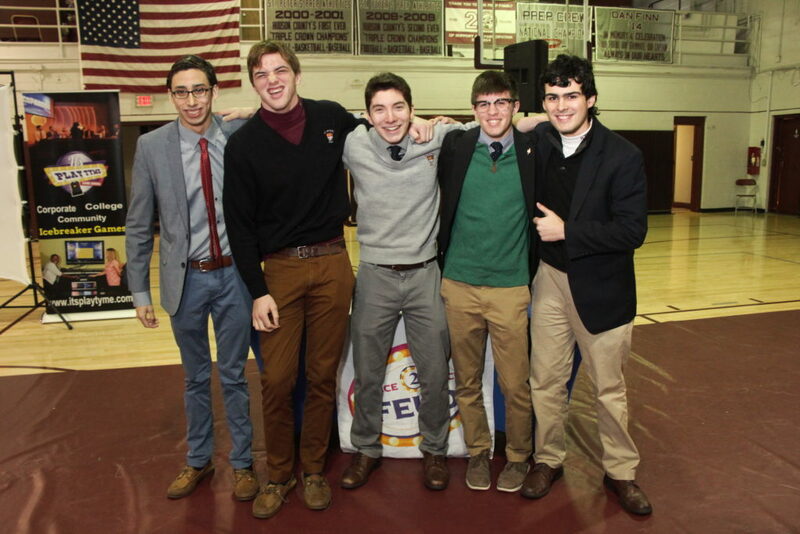 Ask about our most popular college theme event, titled “Battle Of The Sexes.” You can implement your own set of questions, rules and organize the game in a way that all of the trivia buffs and game show fans can participate and have a great time. 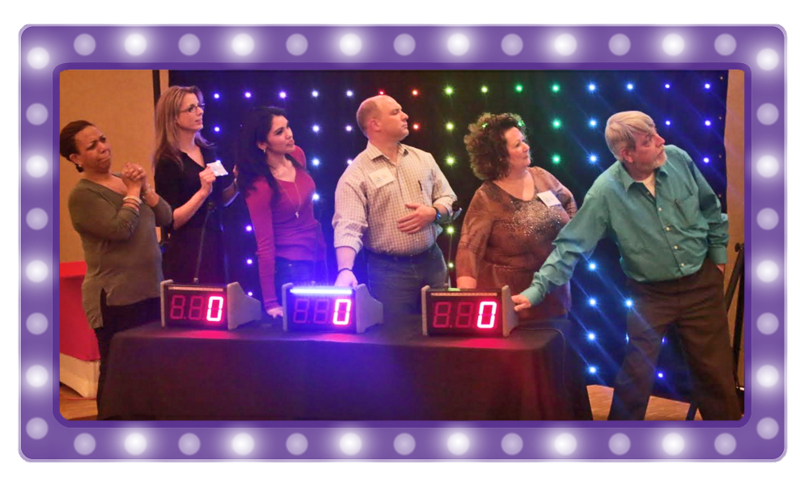 Let us transform your school assembly program into a memorable game show experience. Think about using our services for spelling, math and vocabulary quizzes. Our games and activities give the kids a chance to interact before their entire grade level, not just the classroom. Kids from K-12 are thrilled about our wide variety of shows. They love the lights, buzzers, popular music and especially the funny sounds effects. We provide interactive, educational and entertaining shows that are ideal for Project Graduations, Family Fun Nights, camps, after school programs and other youth organizations. Don’t forget to ask a about our very popular Kids Feud and Kids Challenge Game Shows for your next event or assembly. It’s PlayTyme Game Shows has created a large variety of interactive activities that will entertain audiences of all ages, from five years old to 85 years old. Campers, in particular, love our Family Feud style game, which has been our most requested show to date. We also integrate trivia to see who is smarter than a fifth grader, and the outcome is hilarious. Most corporate meetings require AV services. Our AV packages include an engineer and production assistant to ensure your events goes off without a hitch. We do all the work, while you cater to your clients at your event. It’s as simple as that. So, call us today for pricing and more information about lighting, video, microphones, photos and staging. Photo Booth rentals are also available upon request.